TNT will air a double header schedule of NBA games Thursday night. The Rockets and Thunder open the night at 8 p.m. in a Western Conference showdown. The Bucks and Warriors follow at 10:30 p.m. in a cross-conference matchup of East vs. West. Game 1 will be interesting in its own right as the host Thunder has proven so far in the season to be better at home than on the road at 3-2, 2-2 respectively. Meanwhile, the Rockets have been decidedly better on the road (4-1) than at home (0-4), so while the Thunder leads the Thunder in the Western Conference, Thursday’s match is certain to be a tight one on both sides of the ball. Game 2 will be just as interesting as Game 1 because both the Bucks and the host Warriors have proven so far to be better at home than on the road this season. The Bucks have gone 6-1 at home and 2-1 on the road so far while the Warriors have gone 6-1 at home and 4-1 on the road. Milwaukee has gone 8-1 in its last 10 games and won its most recent game. Meanwhile Golden State has gone 9-1 in its last 10 games, and is in the midst of a strong 8-game win streak, so the edge seems to go to Golden State, going strictly by the numbers. Marv Albert will have the call in Game 1. he will be joined by analyst Chris Webber for additional commentary. Reporter Ros Gold-Onwude will be courtside with all of the game’s latest interviews and news. Kevin Harlan will have the call for Game 2. He will be joined by analyst Reggie Miller for additional commentary. Reporter Kristen Ledlow will have all of the game’s latest interviews and news. It’s only August, but Turner Sports and TNT are already getting sports fans hyped up for the upcoming NBA season with a big broadcast schedule announcement. 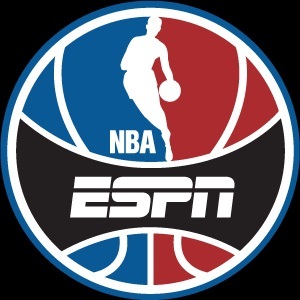 TNT will kick off the 2018-’19 NBA season on Tuesday, October 16 with a double header schedule. The 76ers and Celtics open the schedule at 8 p.m. ET with the NBA Champion Warriors taking on the Oklahoma City Thunder following at 10:30 p.m.
Tuesday’s matchup between the Warriors and Thunder will be preceded by a ring ceremony in which the Warriors’ players will receive their championship ring. TNT NBA Tip-Off presented by Autotrader pre-game show opens the night’s NBA coverage at 7 p.m.
On October 18, LeBron James will make his debut with the Lakers as Los Angeles takes on the Portland Trailblazers in the second game of that night’s double header. Coverage is scheduled to start at 10:30 p.m. ET. The 76ers and Bulls open the schedule at 8 p.m. ET with Inside The NBA presented by Kia opening and closing the night. Turner Sports’ season-opening NBA broadcast schedule switches over to NBA TV Saturday October 20 with coverage of the Raptors and Wizards at 7 p.m. The Rockets and Clippers close out Turner Sports’ opening week coverage Sunday at 9 p.m. ET on NBA TV. Turner Sports’ full 2018-’19 NBA broadcast schedule is expected to be announced this Friday, Aug. 10. All games will be streamed online at http://www.tntdrama.com/watchtnt and the Watch TNT app as well as participating TV providers’ websites and apps. More information on Turner Sports’ NBA coverage is available online now at http://www.turner.com/pressroom/united-states/turner-sports. NBA TV is launching a new program to its programming lineup. The company announced this week that it will launch what it is calling Fast Break Mondays presented by Verizon beginning Monday, Jan. 22. The new program is being marketed as a more in-depth broadcast, offering more for fans including quick-time polling, instant analysis and increased fan engagement. New fan interactions and content are only a portion of what audience have to anticipate with NBA TV’s new program. It will also feature plenty of live basketball action. The program’s debut episode will feature a double header schedule that starts at 8 p.m. with a cross-conference matchup between the Miami Heat and Houston Rockets. The L.A. Clippers and Minnesota Timberwolves follow at 10:30 p.m. in a key Western Conference matchup. Both games are certain to be interesting. The Rockets (31 – 12), who will host the Heat (26 – 18) in the first game of the night, have proven to be just as good at home this season as on the road, going 16 – 6 at home and 15 – 6 on the road. The team is 6 – 4 in its last 10 games and won its most recent game. Miami meanwhile sit fourth in the East versus the Rockets being second in the West. The Heat has also proven to be just as good on the road as at home, going 14 – 9 on the road and 12 – 9 at home. The team has gone 8 – 2 in its last ten games, its most recent game resulting in a win, too. The night’s second game is so important because of L.A.’s fight to stay in the playoff picture. The Clippers (23 – 21) currently sit eighth in the conference, the last team in the West’s playoff race. The team sits just above Denver (23- 22) in the race for that last spot. Minnesota meanwhile sits fourth in the West at 29 – 18. The T’Wolves are 23 – 7 in conference play versus the Clippers’ 17 – 13 conference record. Both teams will have plenty to play for as they tip off Monday night, considering the numbers, making the game all the more critical and worth the watch.